CHEESE??? Sinful!! Well, not really. In moderate amounts (don’t tambah! ), cheese is a healthy source of protein and calcium. 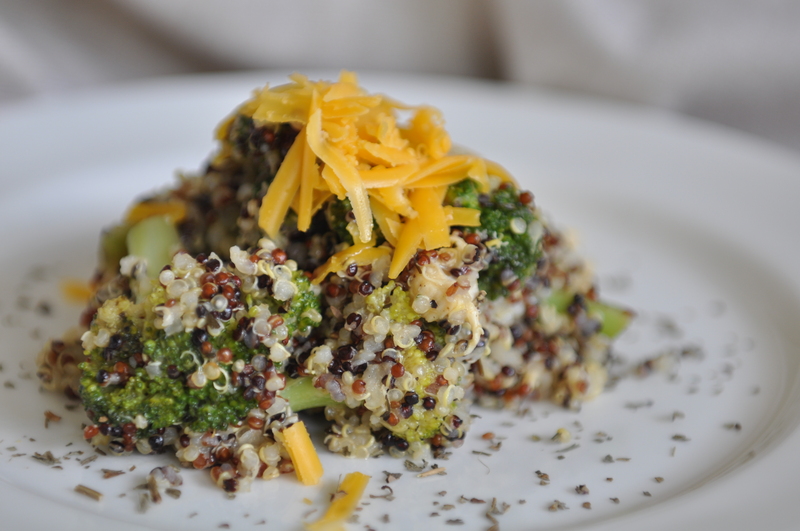 Did you also know that cheese goes great with broccoli and RESTORE™ Bolivian Quinoa? Two very healthy foods with great nutrients. This recipe is one of our favourites because it’s so healthy (and easy!). 2 Cups of Chicken Broth/Vegetable Broth OR plain water. How to cook the Chicken Breast? 1) In a pan, saute the chicken breast. 2) Cut into strips. Set aside. – For a vegetarian meal, exclude the chicken. – At Step 9, if the food is still TOO MOIST… cover for another 5 minutes to allow the liquids to be absorbed. 1) Wash and rinse the uncooked quinoa. Then, pour it into a pan OR wok. 2) Add the liquid (chicken broth/vegetable broth/water) to the pan. 3) Bring to a boil. Cover and turn the heat down to “Low” and let the quinoa cook for 10 minutes. 4) As the quinoa is cooking, cut the cooked chicken into smaller pieces. Set aside. 5) After 10 minutes, open the lid of the pan. Stir the ingredients and add the broccoli, chicken strips and dried basil. 6) Season with salt and pepper to taste. Stir gently. 7) Sprinkle grated cheese to top. 8) Put the cover back on and continue cooking for 5 minutes. 9) After 5 mins, remove the cover. 11) Now grab a spoon and serve! ENJOY!